Sir Tim Rice hosts The Best of… Rock Musicals two concerts held for the benefit of The Charlie Waller Memorial Trust. Featuring New York’s Adam Pascal (Rent); Europe’s Adrianna Hicks (The Color Purple), Kristina Love (Tina) and David Michael Johnson (Jesus Christ Superstar); and London’s Kerry Ellis (Wicked) together with a host of Broadway and West End talent, the West End Chorus, the City of London Philharmonic AllStars and some very special surprise guests. The Best of… Rock Musicals will hold two concert performances on Sunday 12 May 2019 at London’s Eventim Apollo, Hammersmith. 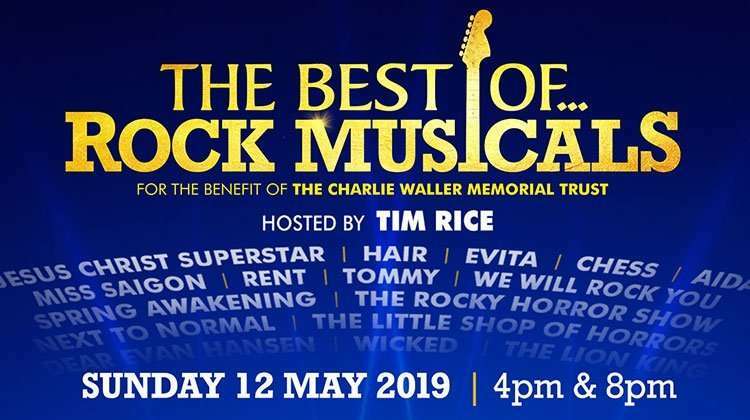 On Sunday 12 May 2019 at London’s Eventim Apollo, Hammersmith, there will be two concerts of The Best of… Rock Musicals for the benefit of The Charlie Waller Memorial Trust. It will be the 20th Anniversary production from the same team who for the last 19 years have presented The Night of 1000 Voices at the Royal Albert Hall and elsewhere. Buy The Best of… Rock Musicals tickets at the Eventim Apollo by using the Search Box at the top of the page or by clicking the Buy Now button above. You will be purchasing tickets via our preferred ticketing partner Encore Tickets, who are a fully bonded and licensed ticketing company and members of STAR - the Society of Ticket Agents and Retailers. 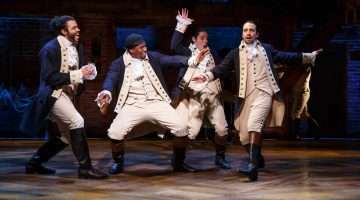 Encore offer real-time ticketing with confirmed seat locations at the time of booking so you know your seat numbers before you book your The Best of… Rock Musicals tickets. Why book The Best of… Rock Musicals tickets with us?